Squirrels, turtles, possums, rabbits, and a variety of birds are battered and waterlogged. People and pets aren’t the only ones trying to get back on their feet after Tropical Storm Harvey. Wild animals also took a hit from the record-breaking rainfall, surging floodwaters and brutal winds. 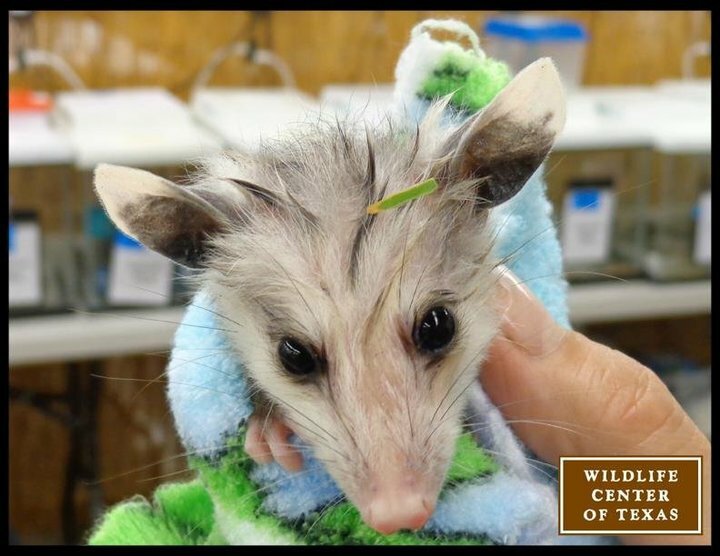 The Houston SPCA Wildlife Center of Texas has been “bombarded” with requests to help injured or waterlogged wildlife, and has taken in 225 animals since Friday, executive director Sharon Schmalz told HuffPost. She expects that number to grow in the coming days, as the waters recede and more people are able to get around. Many of the wildlife center’s newest patients are baby squirrels. 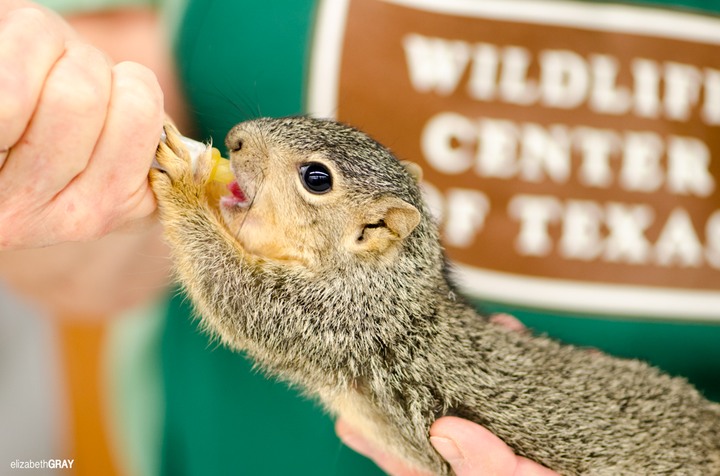 A squirrel is fed at the Houston SPCA Wildlife Center of Texas. 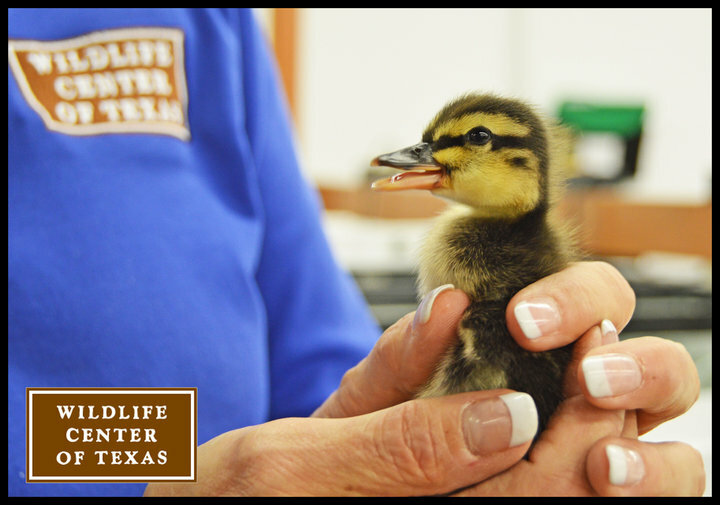 The center is also caring for turtles, possums, rabbits and a variety of birds. It even received a frigate bird—a kind of seabird—that was blown ashore by the high winds. Workers are scrambling to keep their growing number of charges warm and fed, and to administer needed veterinary care. The center has set up an Amazon wishlist of needed supplies, and also is accepting monetary donations. The ultimate goal—when the animals are healthy and conditions are safe—is to release them back to the wild. 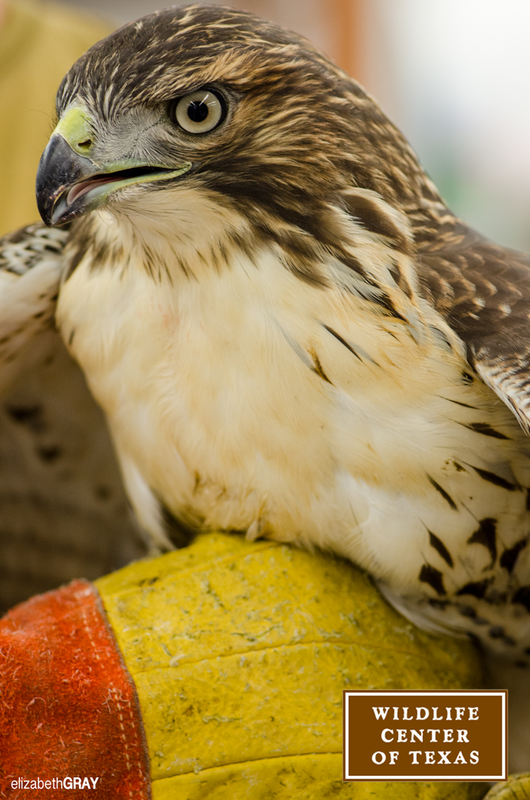 A red-tailed hawk receives care at the Houston SPCA Wildlife Center of Texas. Steve Lightfoot, spokesman for Texas Parks and Wildlife Development, told HuffPost that it’s just too soon to assess how serious Harvey’s effects on local wildlife will be. But he’s optimistic. A possum photographed at the Houston SPCA Wildlife Center of Texas. That said, Lightfoot noted that the high number of baby squirrels that have been blown out of trees may mean there could be “a significant impact to this year’s squirrel crop.” He also predicted that while many young deer are likely old enough at this point to swim to high ground, the region would likely see a reduced number of fawns in the fall. Habitat recovery is also a concern, Lightfoot said, noting that major storms in the past have been detrimental to freshwater marshes around the coast, inundating them with saltwater. “Those are areas that provide critical habitat for migrating birds such as endangered whooping cranes, so that is a concern as many migratory species will be heading to wintering grounds in Texas in the months ahead,” he said. Schmalz explained why she believes that humans have a responsibility to step in and assist wild animals in times of crisis. After all, people sometimes ask, isn’t a storm just nature taking its course? She said she wasn’t sure how the ramifications of Harvey might affect local wildlife populations in the future. Whoa! What Is That in the Houston Floodwaters? Fire Ants Making an Ant Raft.